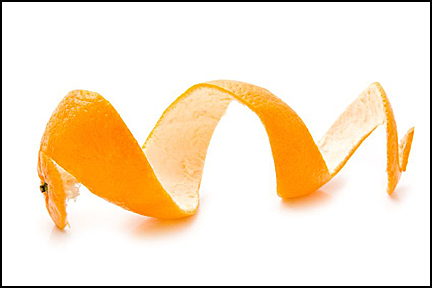 Here’s how to prevent getting a cold 85% of the time using the kitchen herb dried orange peels. You make a tea by cooking them in water with a little honey to cut the bitterness of the peel. A kitchen herb is something commonly used in cooking that most of us eat; some kitchen herbs are seasonal while others are consumed year ’round. As a kitchen herb, orange or tangerine peels are loaded with vitamin C and vitamin K. Using freshly dried peels concentrates the vitamins, enough to help you from getting a full-blown cold, or even get one at all. Grab a handful of dried citrus peels, about 1 ounce, and put them in a small saucepan. Add 1.5 – 2 cups water, bring to a boil, then lower to a simmer for 30-45 minutes. Either during the brew time or after, sweeten with honey or sugar to taste. Strain out the peels, and drink while warm to get the soothing relief. We always keep classic formulas for colds in stock. Some prevent and others help speed things along if you do catch one. We recommend you have these in your medicine chest to take at a moment’s notice. Double up the herb formula with vitamin C to make both even more potent. One of acupuncture’s most valuable benefits is its ability to boost the immune system. Depending on the condition, sliding fire cups open up the airways and get rid of residual phlegm to speed healing once a cold takes hold.